Author Amber Keyser helps you find your character's voice. Voice-the elusive quality that makes a character step off the page and into your life never to leave again. Voice-the mysterious something that makes Faulkner sound like Faulkner and Dr. Seuss sound like Dr. Seuss. Voice-the-I-know-it-when-I-see-it writing that agents and editors are looking for. In this hands-on workshop, Amber Keyser will explore how to create a distinctive voice through the synergy of deep character knowledge, specific conflict situations, and mastery of point-of-view. Her young adult novels include "Pointe, Claw," an explosive story about two girls claiming the territory of their own bodies, and "The Way Back From Broken," a heart-wrenching novel of loss and survival (and a finalist for the Oregon Book Award). 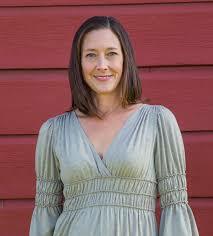 She is the co-author with Kiersi Burkhart of the middle grade series "Quartz Creek Ranch." Her nonfiction titles include "The V-Word," an anthology of personal essays by women about first-time sexual experiences (Rainbow List, Amelia Bloomer list, New York Public Library Best Book for Teens and Chicago Public Library Best Nonfiction for Teens) and "Sneaker Century: A History of Athletic Shoes."